Big data is so much more than just a corporate buzzword — it signifies a fundamental shift in how we do business. Big data is all about leaders being more objective and open to learning. 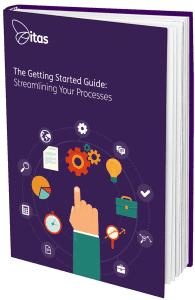 Instead of predictions based on guesswork, leaders can now use raw data to inform their internal processes, sales pipeline, and business objectives. In today’s information economy data plays a key part as a predictor of behaviour and patterns, but it’s also a great driver for internal change. Data will help improve your business across the board — and even ‘bad data’ can become good for you. 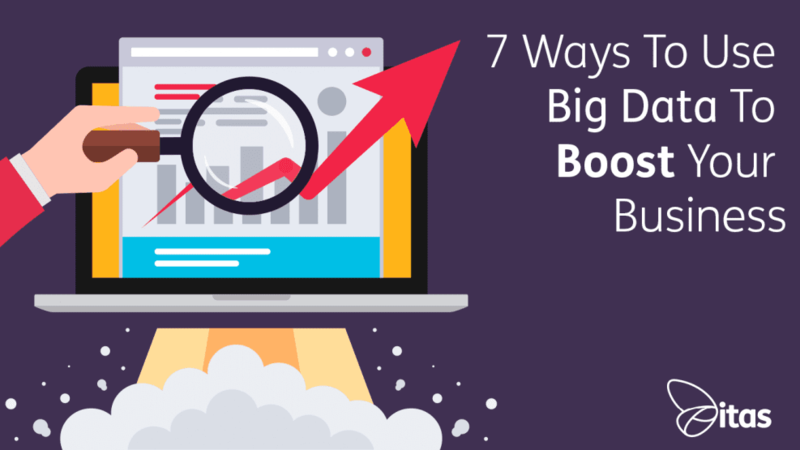 Whether you are a data geek or not, here are seven keys ways in which you can use big data to boost your business. Data can help you predict consumer behaviour and accurately forecast and budget business resources. At the same time, data is also a really powerful tool to help you convince investors, banks, and colleagues that you’re on to a good thing. People won’t be able to easily shut you down if you have valid data to hand. A business built on data, not hunches, is more likely to build up regular cash flow. Financial data is a small business lifeline. From currency conversion rates to itemised transactions, data can help you really drill down into your business in order to make more money. Data will help you spot trends and patterns, and flag up any potential cash flow issues. Qualitative and quantitative analysis will help you deal with financial statistics: you’ll want to get beyond the ‘what’ to the ‘why. Big data also pays dividends when it comes to ensuring that your business is run along the best possible lines. From optimising staffing costs to cutting back on unnecessary software, data can definitely help businesses slimline and cut back. Have periodic management strategy meetings where your business data is reviewed and analysed. Even the simplest tasks can often be further simplified and economised: at scale that could make a huge difference to your bottom line. A data-driven buyer persona is part of every business’s marketing arsenal. Modern buyer personas mix characteristics and real-time data with predicted behaviors and habits. Data allows businesses to ‘fill in the gaps’ in customer profiles, creating personas that anyone who deals with your customers can instantly relate to. A CRM is a great way for businesses, even small ones, to embrace the power that data has to form better customer-brand relationships. Sage has a popular CRM that hooks up with your financial systems — maybe this is the missing piece of your business data puzzle? Data allows businesses to be more reactive: to change their products, tweak their offers, and focus in function of seasonal behaviours and changes to the industry. This ability to be more reactive and agile leads to innovations like dynamic pricing, real-time offers, or geo-targeted recommendations. Using data, businesses can give people the best possible price and perks, all within a carefully defined geographic area. Ecommerce brands are taking reactive commerce to the next level with the help of AI-assisted bots like Kit. Now a free addition to Shopify’s store subscription, Kit helps store-owners run Facebook ads, send out emails, and follow-up on prospects: all automated and off the back of sales data. These types of virtual employees are likely to increase, and appear in the wider business landscape soon — maybe one day we will have bots reminding us that we need to stock up the water cooler based on weather patterns, or suggesting that we follow-up with sales prospects at the optimal time? Data allows businesses to talk to customers one-on-one. Marketing personalisation gets a lot of stick for being creepy, but a big part of marketing at scale is effectively managing customer data. Through data management, it is possible to send out better offers, and target people with content and ads that are much more likely to appeal to them. A smart personal touch can make all the difference. Segmenting data is a fundamental part of marketing personalisation: it saves you from boring your entire network with irrelevant ads. Have you also tried to personalise your content? Keyword and web user data should be fed back into your content strategy in order to tighten your inbound marketing funnel. The goal here is to use content as a way of preempting and negating any buyer objections — whether that’s in the form of snappy blog posts, or long-form content and videos. (Again, content channels and formats should be chosen in function of content consumption habits). Remember that data isn’t always real-time or retrospective: it can also be predictive and prescriptive. Predictive analytics are helping businesses spot trends and plan for the future. Predictive analytics predict consumer demand — ensuring that budgets are being effectively deployed across the year. Forecasting into the future is never foolproof, but it can give strong indicators of market strength and health. A predictive customer profile allows brands to predict consumer behaviours. A predictive model can determine which research channels and platforms are going to yield the highest number of conversions, or produce the most engaged leads. How to use data to its maximum potential? It’s important to ensure that all the data that you collect is being stored securely. If you are using ‘the cloud’, invest in security features and backups. Getting fooled by vanity metrics like web traffic and the number of followers across your social profiles are just some examples of unhelpful ‘data noise’. Be very clear on the actual business insights that data brings to the table— rather than getting too caught up in the data itself. Make sure you have the right members of the team on the case, and that everyone in the business is committed to investing in data. Big data is a small business friend. Whether it’s marketing, finance, or operations: data will help you make more of what you have, and get you more business through the door. Learn how to collect, collate, and analyse big data as a business, and you will be securing your future.